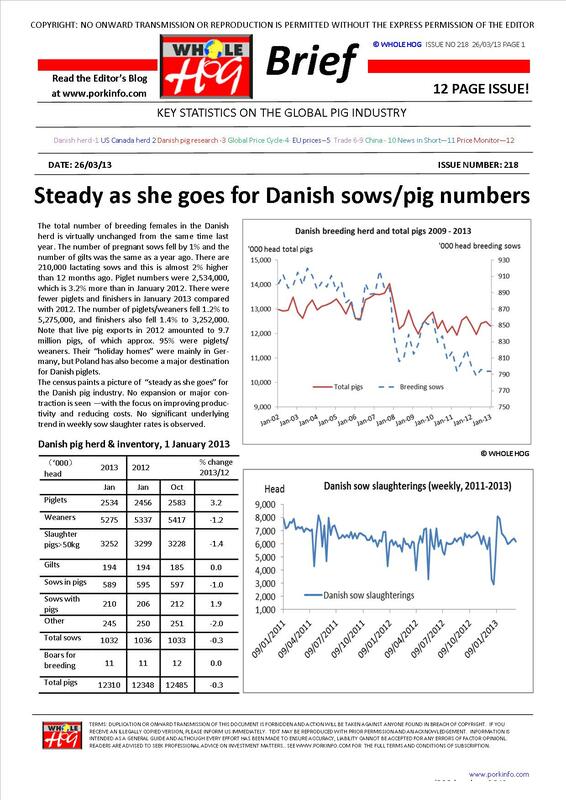 The front page of the March 2013 issue presents the results of the latest Danish pig census. Page 2 presents the results of the USDA’s North American pig herd survey. Page 3 describes some of the work done at the Danish Pig Research Centre as shown in the recent 2012 annual report. 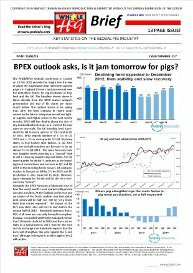 Page 4’s analysis of the Global Pig Price Index sees a bear market in the fundamentals. 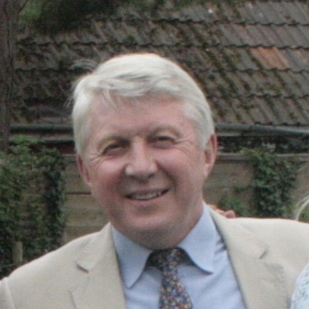 Page 5 reports the changes in pig prices across Europe in February 2013. On page 6 Canada’s export performance in the first month of 2013 is described. On page 7 the USA’s pork export sales in January 2013 are detailed. Australia’s exports and imports and in January 2013 are shown on page 8. On Page 9 the pork imports for the South Korean market are tabulated and charted for early 2013 Page 10 describes some Chinese data puzzles and the recent media report on the dark side of domestic pigmeat trade. Page 11 presents short accounts of news from Russia’s Rosselkhoznadzor, USA’s national pork industry forum, UK Defra pig census, USDA hogs and pigs report, Olymel, Danish use of antibiotics, USDA FAS forecasts of Chinese pork production, German pig production margins, the Shuanghui Group, Genus PIC expansion in China, and USDA forecasts of Russian pork production and imports, The back page sets out the Short View on pig prices and pig prices for 18 countries are presented in the Global Price Monitor, and the chart of the week.